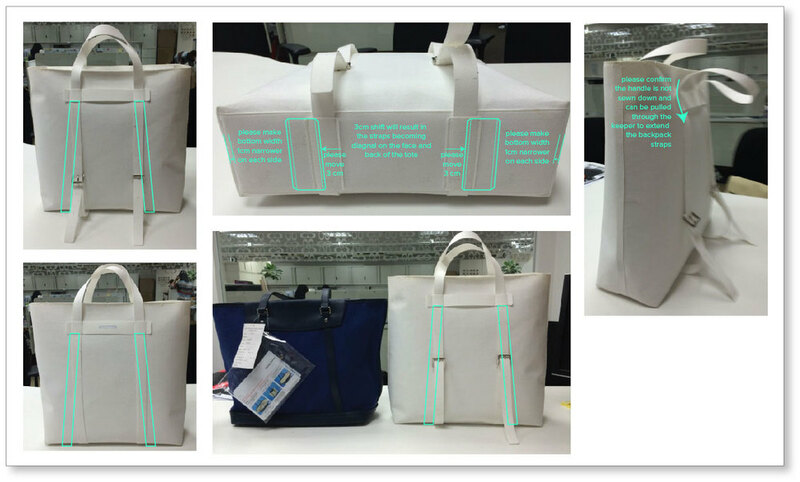 Design a functional casual bag for urban commuting during the summer. Researched solutions already available in the market. Built paper models to explore function. I developed my sketch into a production design card used to generate the first prototype in the sampling room. Gave comments on prototype before first round of sampling.